Ever since I battled Acne, I moved away from conventional mechanical scrubs. I might as well start scrubbing my face with sand paper. I have been using a lot of AHA products for combatting acne which has made my skin sensitive. I was introduced to enzyme exfoliators and OMG they are the bomb! When I was in Australia I was introduced to Organi Honey Enzyme Peel (used Manuka Honey, AUD $140). Since using that product I was hooked n booked on enzyme exfoliators like there was no tomorrow. I was left slightly disheartened by the fact that not a lot of companies have jumped on bandwagon yet. Anyway since then I have moved to USA where I discovered Frutique (US based company). This product is a lot more affordable than aforementioned product. I bought this product at Sally’s Beauty Supply for $12.99 (keep an eye out for Buy 1 Get 1 free offer) for whopping 6.8 fl.oz. Neatly packaged product with a generous quantity at a bank account friendly price…..Have I hit jackpot? Lets see if it performs……. CLAIMS: “An innovative, non-abrasive exfoliator that smoothes skin. Not your everyday exfoliating scrub, the enzymatic reaction of this gel will digest dead protein material on skin. Polish away dead skin cells and remove impurities with this resurfacing gel. Papaya Fruit Enzymes play a key role in improving and smoothing skin texture. So, I squirt product on my fingertips, smear all over my face and gently massage in circular motions. And then I start seeing balls of dead skin (eeeksssss but in satisfying way). The scent of this product is quite strong but not unpleasant. My skin looks and feels clean, brighter and radiant (like from within). 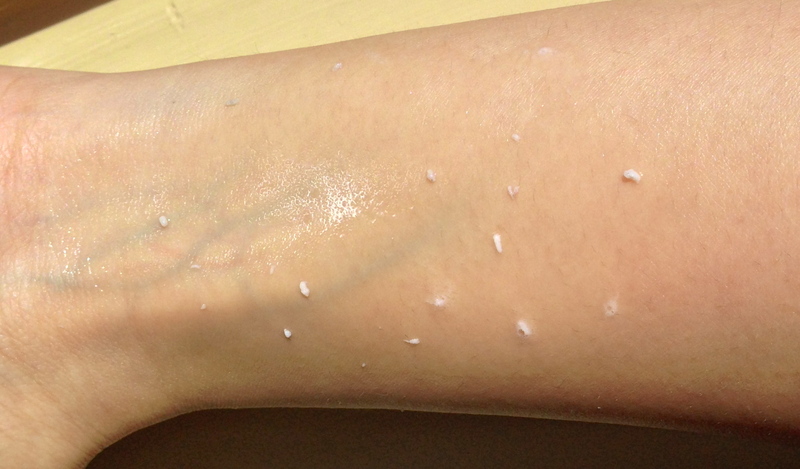 I have also noticed my moisturizer gets absorbed in skin far more quickly. Downside: The yucky balls of dead skin get stuck in your sink if you don’t wash it immediately. Not enough to deter me from buying for another 10 years! I would highly recommend this product for any skin type and can be used on your body too. When I do get around giving myself a manicure, exfoliating my disgusting hands with this wonder product makes it looks brighter and radiant. All in all, must buy….heck even stock up for apocalypse!!! Apologies for late reply, am glad you find it interesting!